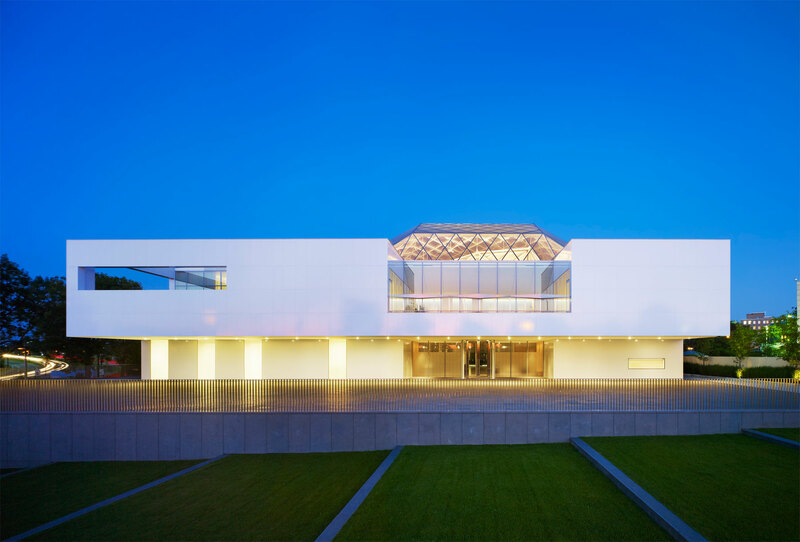 On a prominent site in Ottawa, this secular facility conceived by the Aga Khan as a sanctuary for peace, diplomacy and global pluralism, powerfully expresses its mission through an architectural “bridging of dichotomies”: modernity + tradition, light + dark, indoor + outdoor, west + east. 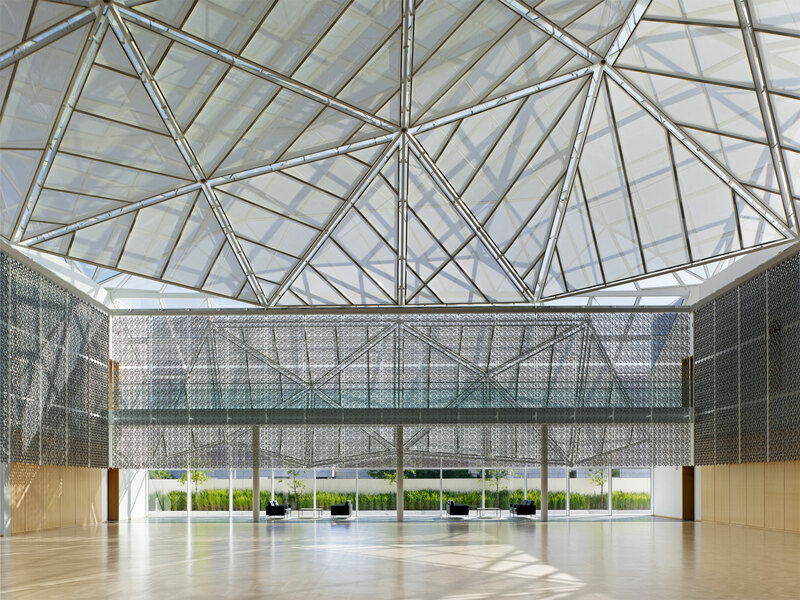 Clad in luminous crystallized glass panels, the Delegation Building focuses upon two symbolic meeting spaces—the glass-ceilinged Atrium, inspired by natural stone crystals and Islamic geometries, and the open-air Courtyard, inspired by Chahar-Bagh, the traditional Persian-Islamic walled garden. 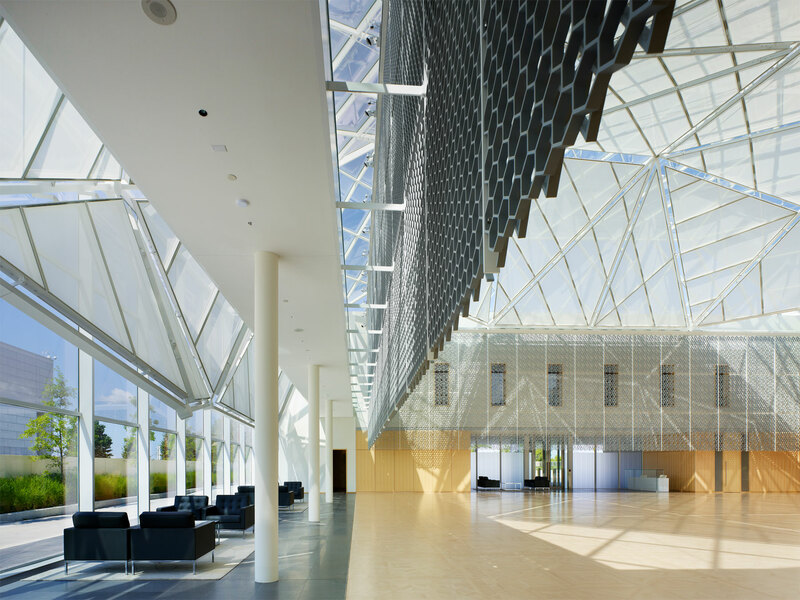 "This is a significant addition to Ottawa’s repertoire of diplomatic buildings and puts Canadian architecture firmly on the world stage. 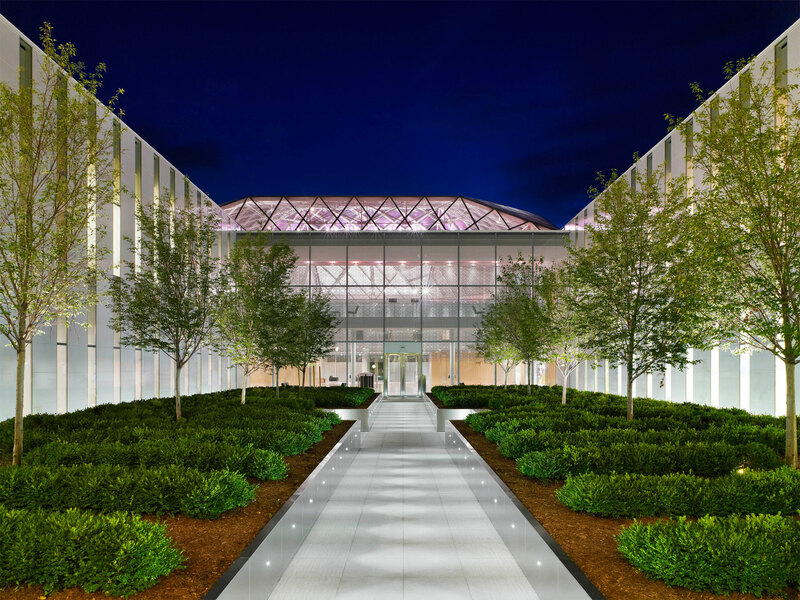 Impressively monumental in scale, the project combines a powerful civic presence with a remarkable level of sophistication. 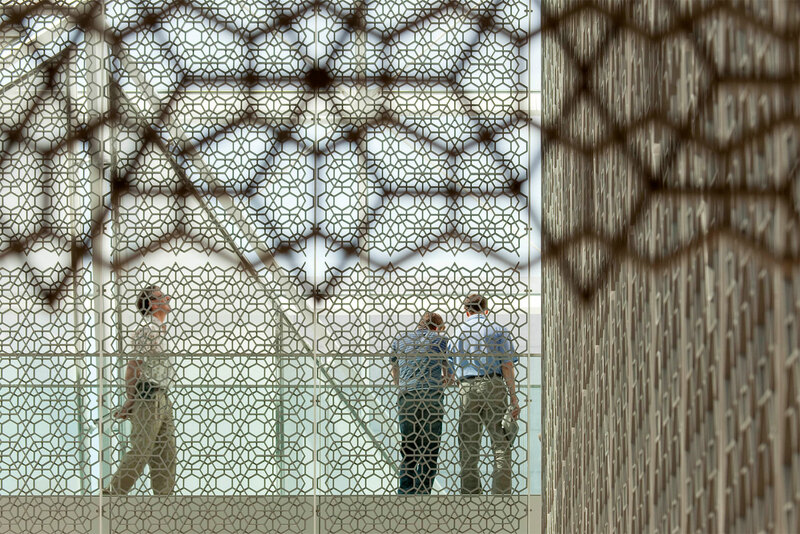 Its integration of traditional Islamic motifs such as specially crafted screens and a lush courtyard garden is choreographed with assurance and sensitivity, bringing the building wonderfully to life as a delicate and sensual piece of architecture, while the quality of materials and detailing is outstanding."